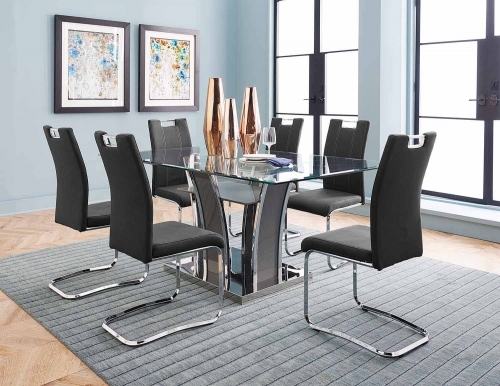 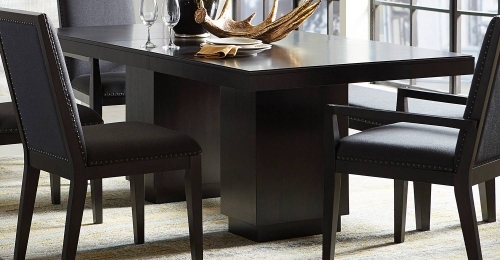 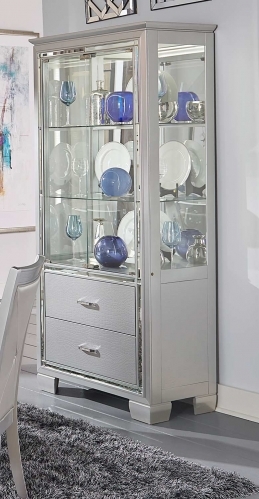 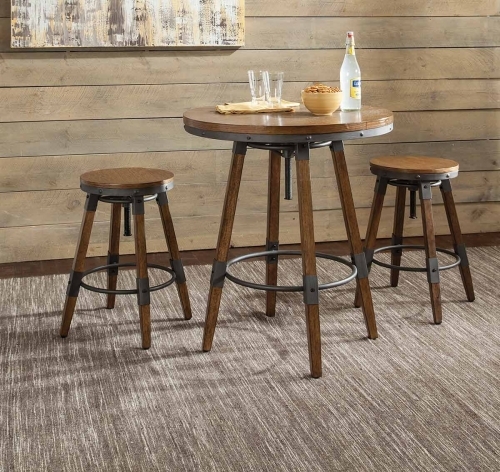 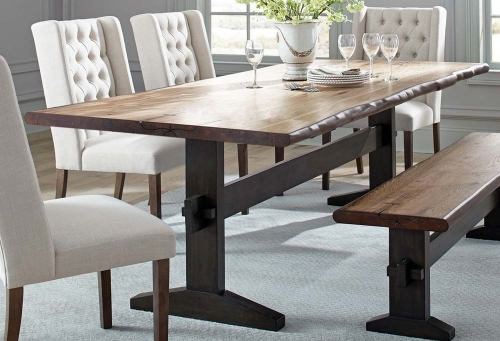 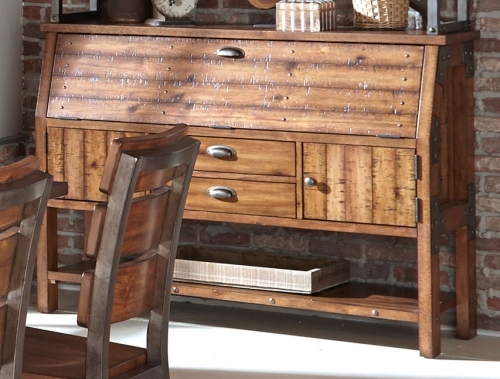 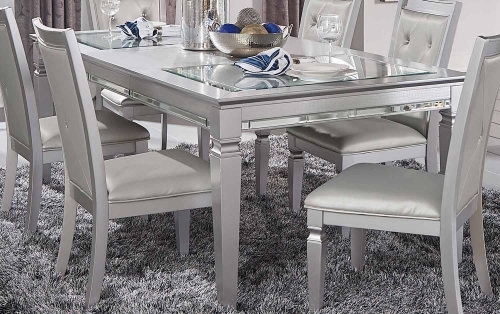 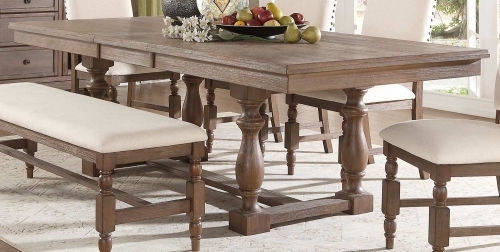 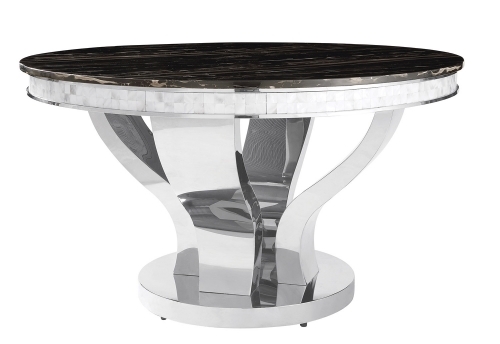 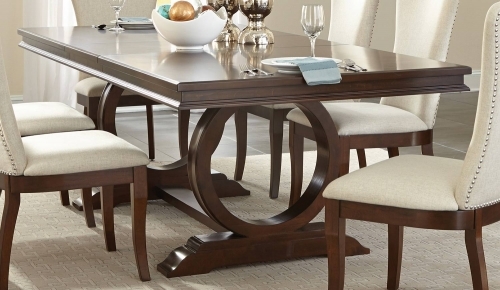 This transitional dining room set goes both ways. 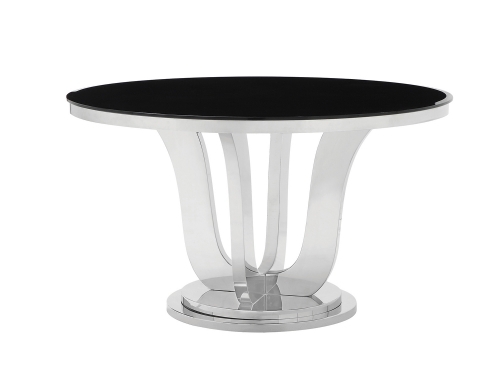 It can be contemporary or traditional in its design. 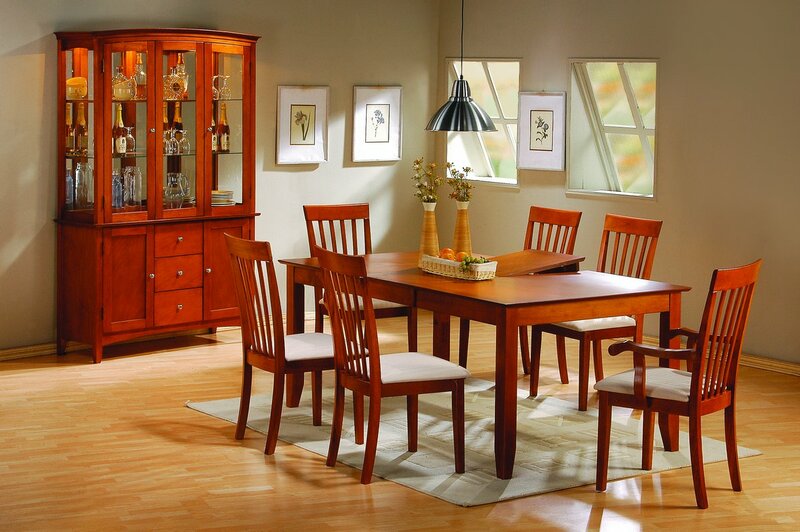 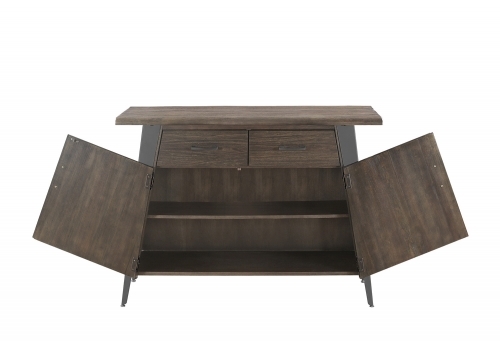 The wood veneer and select hardwoods are done in a modern cherry finish.